Slovakian company AeroMobil is building what most of us have been dreaming ever since we were kids. A car that could fly. If you have not heard about it before, AeroMobil is a car that fits into a normal parking place, uses regular fuel and can drive on regular roads. However, in seconds it can transform to airplane and can also use existing plane infrastructure to take off. By doing that, it can offer door to door travel. 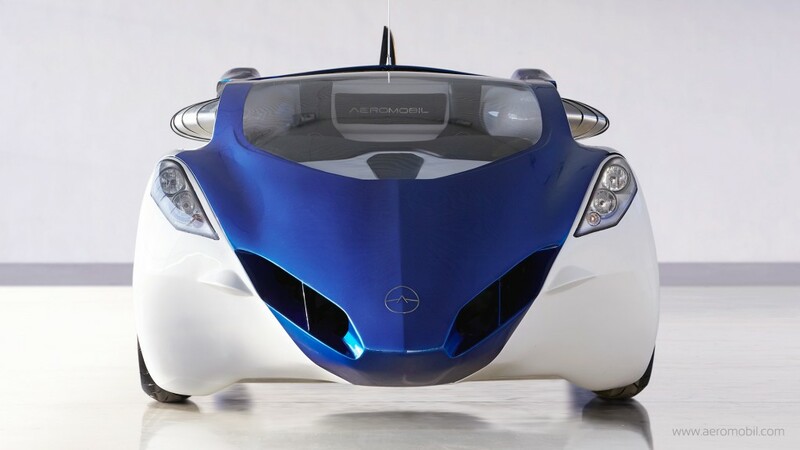 Revealed in October 2014, the AeroMobil 3.0 prototype has been presented at conferences and Expo shows, being in the center of the attention for it’s innovative approach to passenger transportation. Mixing automotive and aerospace industries into a beautifully designed product, AeroMobil gained the support of the Joint Research Center of the EU, who is developing a strategic document supporting the development of emerging sectors of flying cars in Europe. However, what most people would like to know is when they will start taking orders so that we get to see AeroMobil on the road. We set the year 2017 for commercializing the project and we follow that plan. For this, we must have quality, fully functional and safe product. It does not mean that we are not time aware. Last year we have received Invention of the Year Award from the Popular Science Magazine and Wired called us the most advanced flying car in 2014. For us, this means an enormous commitment. We have a chance to catch up first; our plan is very bold. It is also very ambitious but doable. AeroMobil as a company entered a new industrialisation phase of development this year. During the last few weeks, the company moved to a new premises which feature R&D centre, engineering workshop and manufacturing facility. The whole team is working very hard to keep the deadline for the finished model during the year 2017. In the meantime we also prepare our go to market strategy for this year, says Stefan Vadocz, CCO at AeroMobil. In the last year, there has been a lot of noise about electric vehicles, self driving cars and it looks like the transportation industry is on the break of a major change in the coming years. But where is the place of AeroMobil in this? Stefan has told us that: the versatility of our product is also the new quality. AeroMobil can become an inspiration and a new stage in the future of personal transportation. It can bring new opportunities for travel and extend them to a whole new level, thanks to the vision that the AeroMobil delivers without compromise. Due to the unique technical solutions and design, we hope, in the future it will bring back a very positive experience to traveling. The first AeroMobil will be a very specific niche product aimed at the supercars and small planes buyers. This market is growing, it is highly profitable, adopting innovative new technologies faster than any other. It will be followed later with the vehicle for larger public and possibly also ride-sharing companies. In regards of adoption of this new technology, we like to use the analogy of a mobile phone. In the 80s, it was a niche market. We usually claimed then – what do I need a cell phone for – home phone was enough. We had the functionality, but later everybody moved to the cell phone, thank to the versatility and availability. But probably the most important thing about AeroMobil is that an extremely innovative company, building a high tech product, is coming out of Slovakia. Along with Rimac Automobili from Croatia, that we covered a few weeks ago, this goes to show that CEE entrepreneurs are able to create products and services that can change the world. Andrej Kiska, the President of Slovakia, who is a former entrepreneur and electrical engineer, has showed recently huge support for startups, innovation and technology and it would be great if other political leaders in the region would show an increased interest in supporting young entrepreneurs.